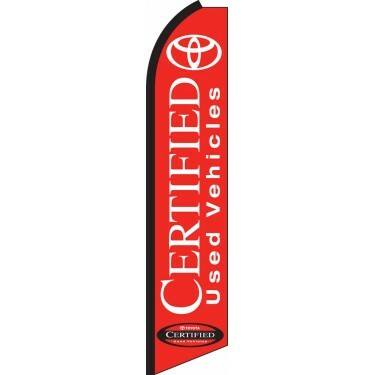 Our Toyota Certified Used Vehicles Swooper Feather Flag features the words "Certified Used Vehicles" emblazoned in white upon a vibrant red background. Above this, the official Toyota emblem is printed in white, while below it is the Toyota Certified seal. 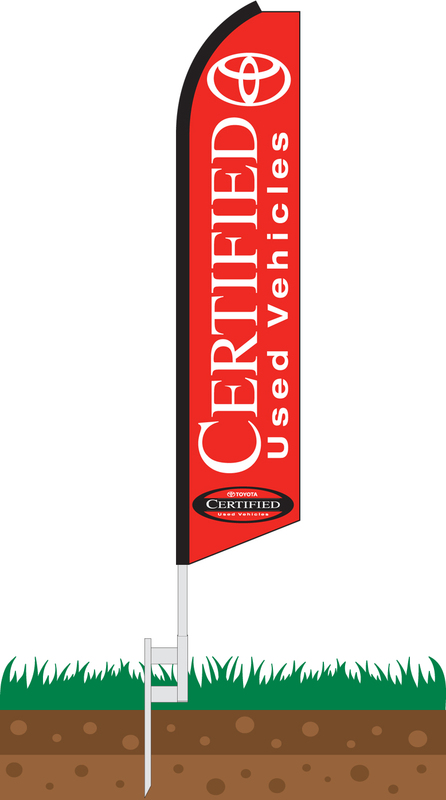 This flag is ideal for car dealerships who wish to draw customers' attention to the fact that they sell certified pre-owned vehicles. The flag can be displayed in an array of different locations including directly in front of the showroom, along the roadside, at trade shows, and much more. It is the perfect advertisement for any company selling certified pre-owned Toyotas and will attract the attention of interested customers.